Cindy Needham: This...That...and Lots of Other Things! This...That...and Lots of Other Things! 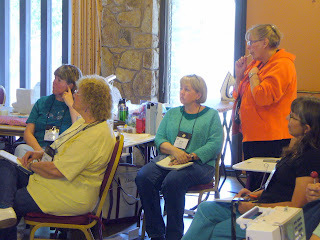 I had a wonderful group of 14 students this year and I taught five different workshops...we started with the Beginning Machine Quilting and followed this with the Open Thread Bar. 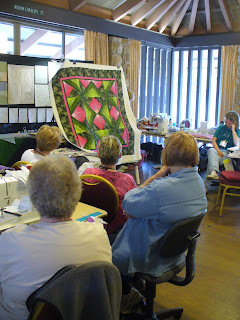 Days 2-4 included the Heirloom Feathers & Backgrounds, Learning to Design and ended with the Linen Wholecloth Quilts. 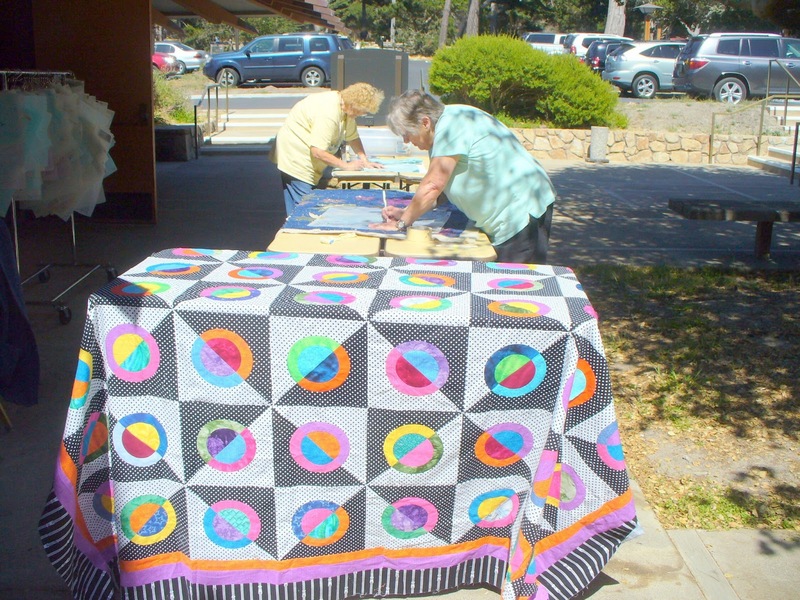 The weather was absolutely perfect so we were able to set up tables outside for marking quilts. I always like to pass on great information for tool tips. Most of you know that I love to add beautiful beads to most of my quilts. Something changed in the manufacture of my favorite beading needle recently and they aren't consistently fitting thru the really tiny beads. 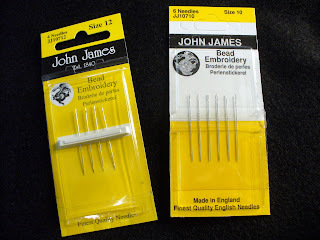 Grace Minton, a favorite student, did some research with John James and they recommended these needles. They work!!! 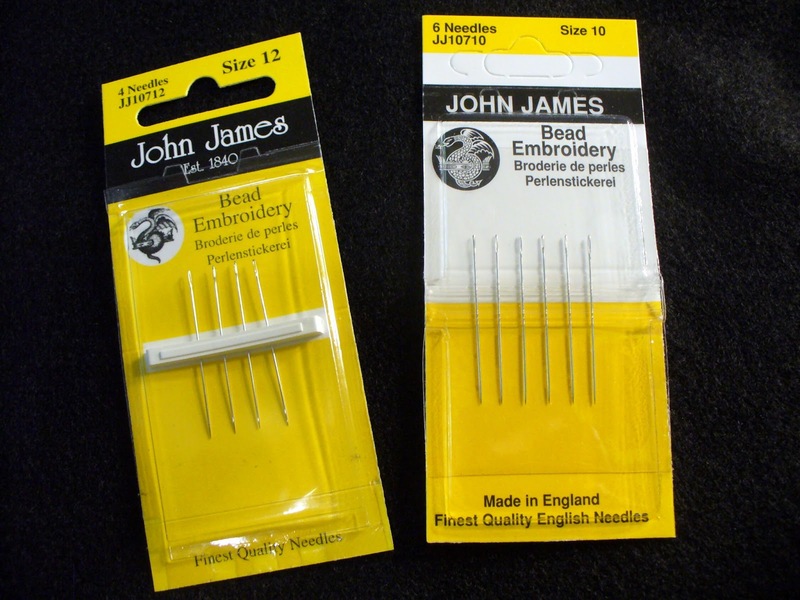 They are the John James Bead Embroidery needles Size 10 and Size 12. 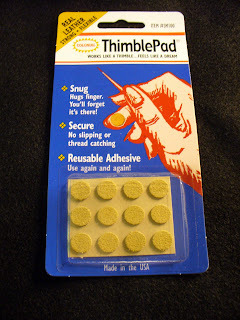 Even when I have heavily quilted my quilt, these slender needles go thru the thick quilted area. 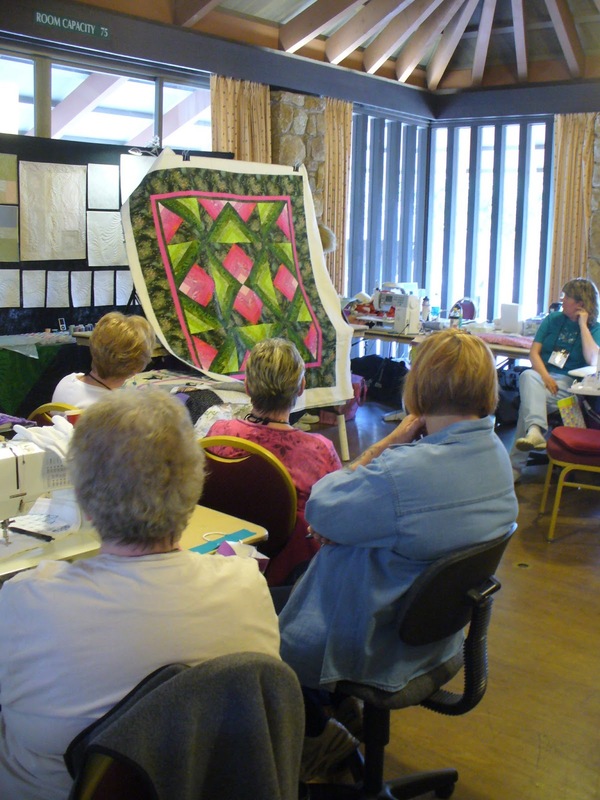 I recently traveled to New Zealand to teach and I was concerned about doing hand work on the plane while everyone else was sleeping (maybe I should have been too!). 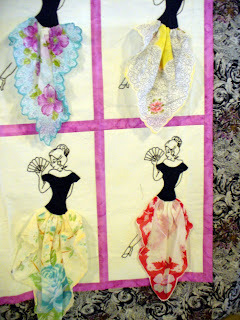 I heard about this light from sewcalgal.blogspot.com. I ordered it and absolutely LOVE it!!! You can switch it from a 3-LED to a 6-LED light depending on how much illumination you need. The light section is adjustable to different angles and it comes with two colored filters if you want them. 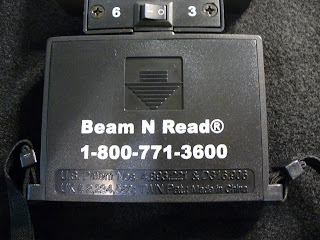 You can find them on this website or call the 1-800 number: 1-800-771-3600. Highly recommended! Maine Quilts and the Sisters Quilt Show. I will be heading to Bellevue, WA on Thursday to visit the Block Party Quilters and the East Texas Quilt Guild in Tyler, Texas afterwards. OMG you are busy. But while I wish I could have joined you at Asilomar/Empty Spools 2013, I'm happy to know I'm confirmed to attend your workshop in 2014. Still, I'd like to attend your workshop at the Vermont Quilt Festival one day soon. Love the idea of traveling to Vermont, but even better if I can take a class with you! 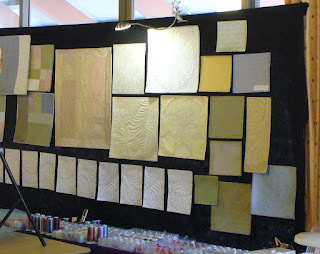 Your design wall of samples looks fascinating! And if that's your stand of stencils outside - well, you have an obscene amount and I'm jealous. I loved every minute of my time with you, Miss Cindy, and miss you already. 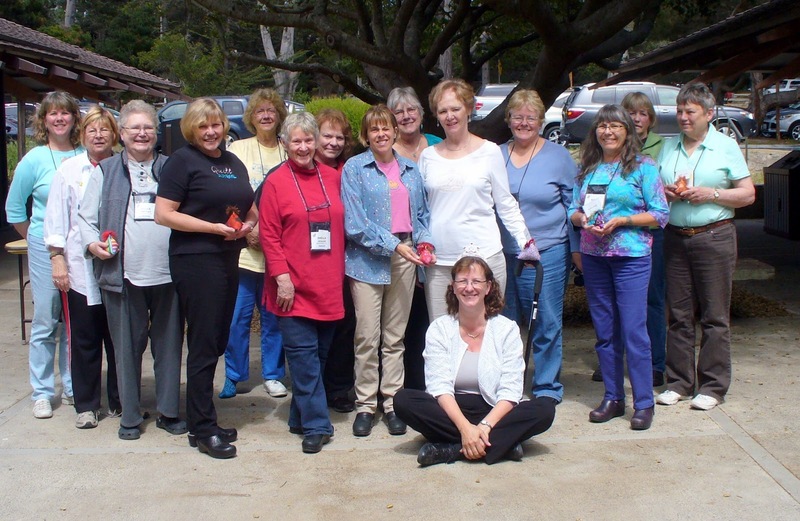 Thanks for a wonderful Asilomar experience! Hugs from your room angel.